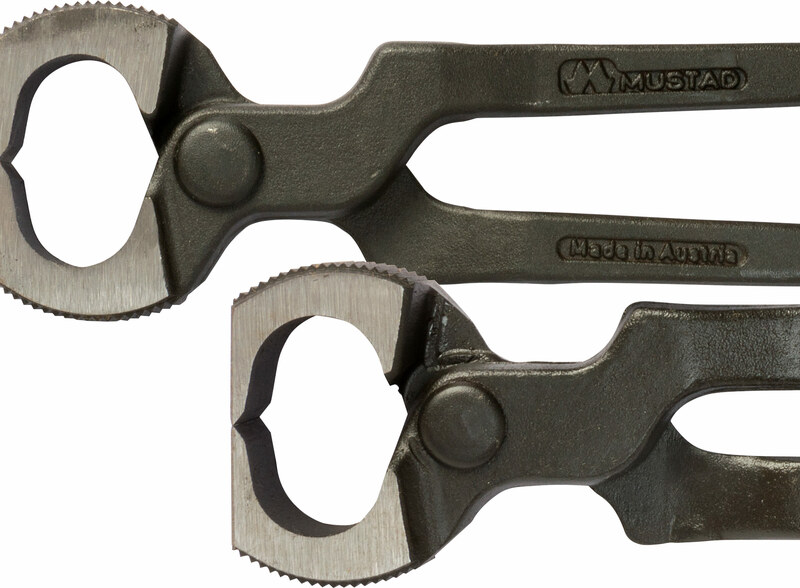 The Mustad pull-off is a universal shoeing tool with mulitple purposes. The width of the jaws makes it easy when lifting shoes of a large variety of sizes or pulling off different types of shoes. 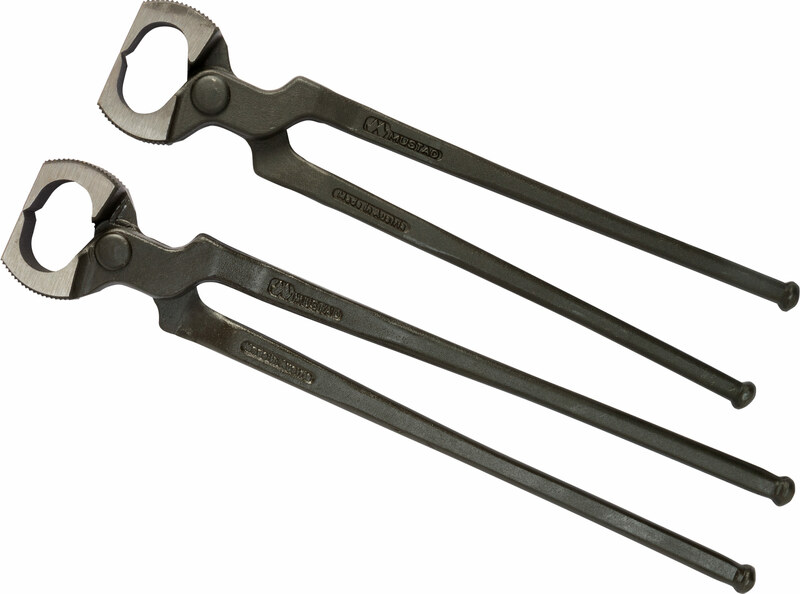 The precise and sharp cutting edges are also suited to pinch the nail, therefore it can also be used as a nipper. The ribbed outside of the jaws can be used to spread shoes. 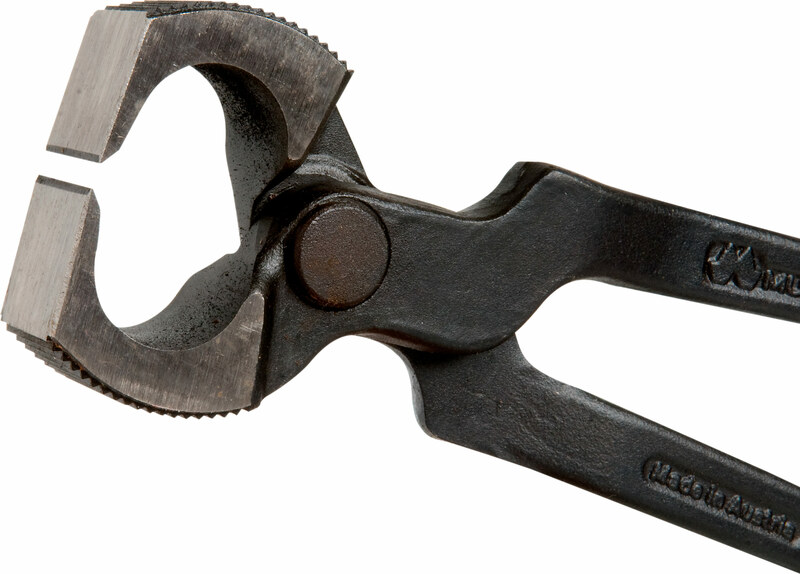 This pincher can be perfectly used as a clinching block, thanks to the right-angle shape of the cutting edge outsides. This pull-off is available in two different handle lengths, although the jaw size remains the same.